Add a touch of class to your city with charming British buildings, double-decker buses and world-famous Big Ben. Place the majestic clock tower into your city and watch as the distinguished look and feel of Britain spreads into the surrounding area. With Big Ben in your city, you'll always know when it's time for tea. Big Ben is not only one of the most famous landmarks in the world; it's also a fully functioning clock. You'll be chuffed when you see all the tourists your city brings in when Big Ben strikes twelve. One of London's most iconic images, the double-decker bus can be yours when you have the Double-Decker Bus Terminal. Whether it's taking your Sims from home to work or from work to shopping, the cheerful sight of the double-decker buses always delights. Double-decker buses have a greater capacity than regular buses, so you can use these fun buses to cut down on traffic even more. 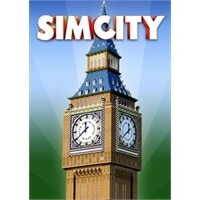 Recreate a portion of London in your own city! With Big Ben in your city, happy residential buildings and successful commercial buildings will expand into British RCI. You'll feel like you're right along the Thames with Big Ben in your city, surrounded by British RCI.